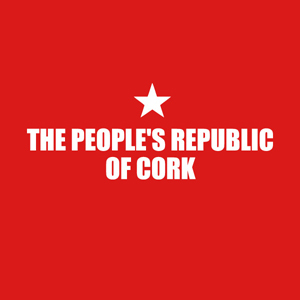 Cork is a very special city. 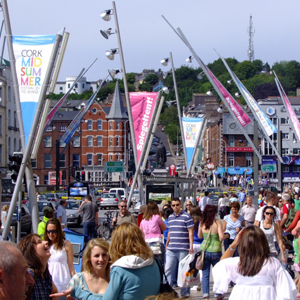 In 2010 Cork was named in the Lonely Planet's Top 10 cities in the world to visit and this year it took the top spot in the Condé Nast Traveller guide to the 'Friendliest Cities in the World'. And nowhere beats Cork at Christmas for shopping, shows and festive fun. Nowhere does it better than Cork: the lights are brighter, the shops more dazzling, the atmosphere more festive. Come for the shopping and soak up the glamour of the city by taking in a show or concert, eating out at one of the 'real capital's' exciting restaurants, or just relaxing with a quiet coffee or drink after your enjoyable day in the city. Christmas shopping. Cork city centre really is the place to get the presents you can't find anywhere else. 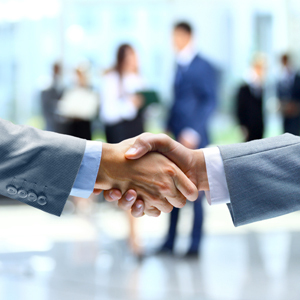 With a huge selection of high street names and stores to suit every budget, you won't find a better choice. one of the many cafés and restaurants dotted around Cork's boulevards and laneways. 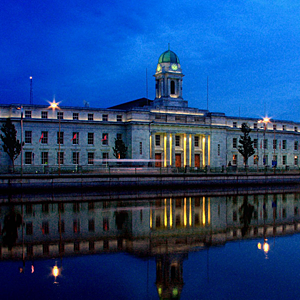 The Cork region is renowned for the freshness and quality of its food. Sample it for yourself. exploring the city's many tourist sites, its galleries and museums or just continue with that all important festive shopping. You'll never be short of something to do. then you have a choice of many award-winning fine restaurants and hotels to choose from, all within walking distance in the compact city centre. Delicious and affordable menus await you. you can take in a show at one of the city's theatres, concert venues and comedy clubs. The city centre is the place to be for top class entertainment. 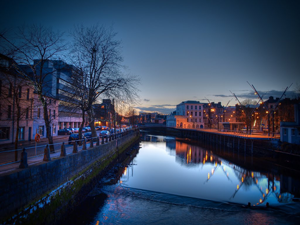 if you are looking for a place for a quiet drink or if you're in the mood for something livelier then Cork city centre boasts a place for everyone. 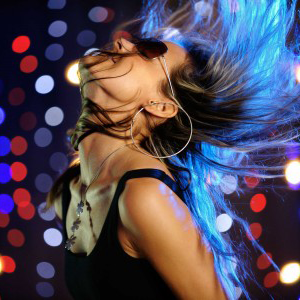 Its cosmopolitan bars and nightclubs ensure a great night out and the party can often continue into the early hours if you have the energy. No need to worry about that long drive home. As the city centre is so compact you have a choice of top quality hotels and guesthouses just a stroll away so you can rest your weary bones after a fantastic day (and night) in the city.